We have a planter built into our deck that was once painted to match the lattice work on the sides of the deck. The paint constantly chipped and peeled and unless it had just been painted, it looked terrible. Sanding it down and staining it has long been on my to do list and finally yesterday, I took advantage of the beautiful day and sanded off the old chipped paint. Three hours of using Bill’s belt sander got the job done and it’s amazing how much better it looks even though I haven’t stained it yet. It makes my heart so happy when I complete a project like this and the sense of self satisfaction is like none other! I’ve felt great this week with the exception of right foot numbness occasionally when I lean forward at the sink to wash dishes or lift them out of the sink to dry. It’s the craziest thing, but on a positive note, the tingling and numbness lasts for a shorter amount of time than previously. Originally, once I got that tingling sensation, it lasted for the remainder of the day until I lay down at night. Now it only lasts a few hours and then goes away (unless I’m sitting and then it lingers). 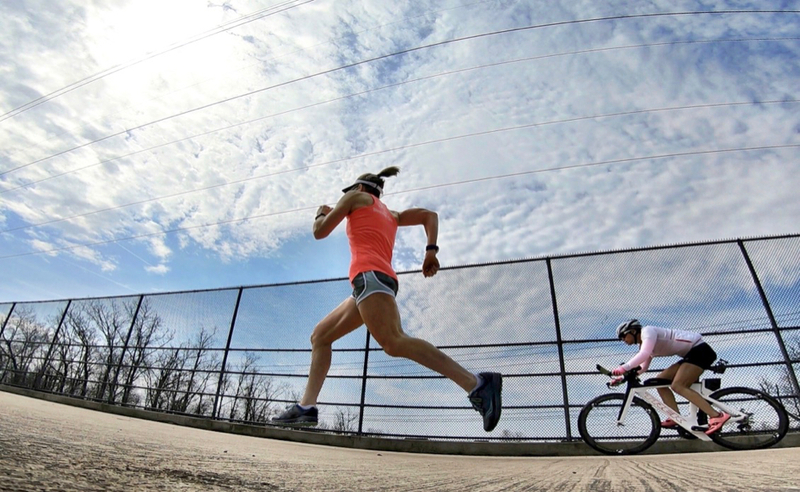 Luckily, running, biking, and being extremely active seem to have zero negative effects on it. My weekly mileage total hit 11.31 miles, and even though I’m still hovering in the mid-10’s with my paces, I’m feeling quite happy with my comeback. Tuesday’s run was ridiculously early (I started at 4:45 AM), but by the time my 6 AM client arrived I had finished my run and completed a good portion of my strength training routine. Saturday morning I slept in until almost 9 AM (I know, who am I?) and didn’t hit the trail until 10 AM. It was a glorious day for a run at 57° when I left the house and it warmed up a bit while out. Three rides on my spin bike (affiliate link) indoors totaled 50 miles this week. I could have ridden outside on Saturday afternoon, but it was easier to hop on my bike in the basement than reapply sunscreen, dig out my helmet, etc. I suspect that once I transition to riding outside the thought of getting on my spin bike will make me wonder why I rode it on days like yesterday. Along with planks I’ve incorporated cobra and a couple of other yoga poses that help my sciatica into my daily routine. I thinks it’s important that I keep doing these daily or at least every other day as preventative measures for what seems to be a chronic condition. Are you a do-it-yourselfer or do you prefer to hire out jobs? Any signs of spring where you live? Disclaimer: This post may contain affiliate links which means if you click on the blue product link and then make a purchase, I will receive a small commission for referring you. You will pay no more or less for the product; however, Amazon will show their gratitude for my referral by paying me. 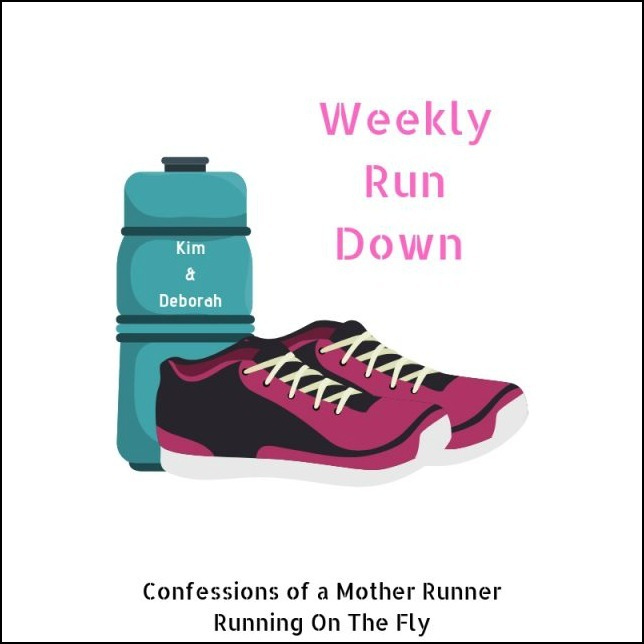 I’m linking up with Deborah at Confessions of a Mother Runner and Kim from Running on the Fly for their Weekly Wrap. Be sure to check out not only the hosts’ posts, but the other great bloggers joining in on the fun! So glad that your workouts are feeling good and you’ve been able to get back to running! Weird that certain things like doing the dishes aggravates your back- maybe that means you shouldn’t do the dishes:) Hope your return to running continues to go well! I wish my run sat was 57. It was still pretty chilly in the morning (warmed up later, but the group run starts at 8:30 so it is what it is). Ok, I have to admit the fact that you’re still getting numbness kind of freaks me out. I’m sure you’re not all that happy about it either. My husband is handy, me not at all. Doesn’t it? Running in shorts and a tank feels so good after all the layers for so many months. We definitely are DIY’ers (my husband more so than myself). Of course, that means a lot of our projects take much longer to complete because they’re contingent on our available time. It’s great to see you back out in the running shoes 😉 Thanks for joining us on the WRD! There’s nothing like the satisfaction of completing a job on your own. We used to do most of our own projects, but now we’re more inclined to pay someone to do it. Maybe that’s why finishing this job felt so good! It’s kind of weird about that foot numbness. Did you ever get an answer for it? Sitting is a trigger for pain in my piriformis too. I read that sitting is really bad for you. I am going to try to limit the time I am sitting, but it is tough when you have a car ride or when you go out to dinner (especially with friends who like to sit and talk)! I love reading about how you are running again (even if it is still dark when you start! out). Good mileage and paces. Nice work on the sanding! I personally hate sanding anything but thankfully my husband loves it. Lol! Nice week of workouts and woohoo for getting your mileage back up. I agree – I refer to YouTube for so many things. Love those photos you took with the GoPro. when was it that you get your MRI results again? I still have tingling but I also really try to stay mobile and not sit for too long. I may try the “washing dishes make my foot tingle” reasoning with Ron but as he pretty much always cooks maybe it wouldn’t be too fair (and besides YOU genuinely have that problem and I don’t!). My MRI is scheduled for next Wednesday and then I’ll have a follow-up with my doctor to get the results. 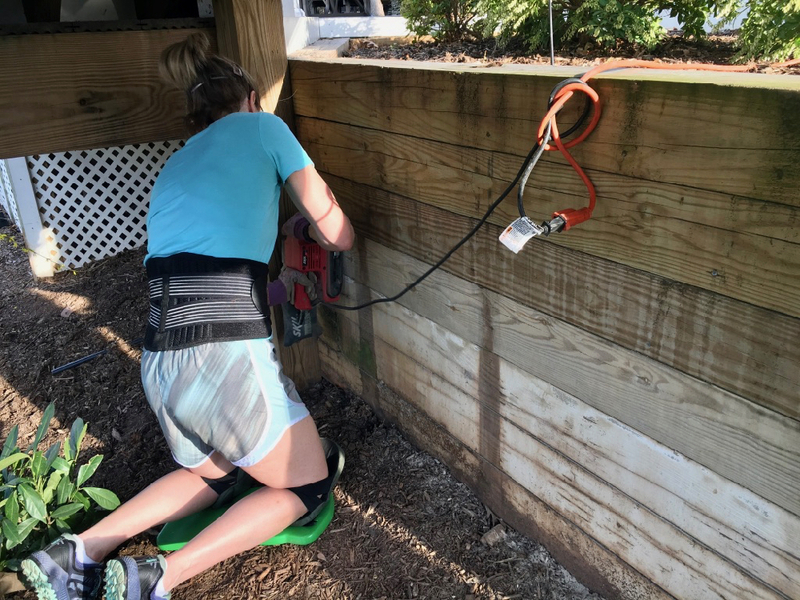 My husband and I are complete opposites – I am a “Let’s hire it out/ buy” and my husband is a “Let’s do it ourselves – let me get out the tools!” But his enthusiasm for DIY is slowly rubbing off on me! Well done on that awesome project! Thanks, Shathiso! There’s nothing as satisfying as completing a project yourself, right?